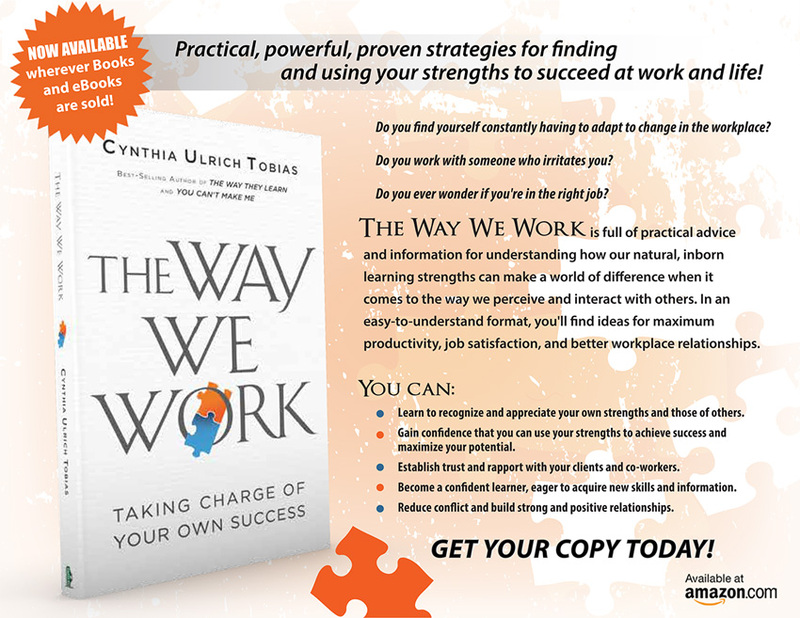 Practical, powerful, proven strategies for finding and using your strengths to succeed at work and life! Do you find yourself constantly having to adapt to change in the workplace? Do you work with someone who irritates you? Do you ever wonder if you’re in the right job? 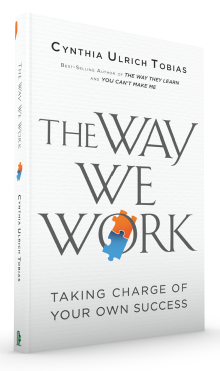 The Way We Work is full of practical advice and information for understanding how our natural, inborn learning strengths can make a world of difference when it comes to the way we perceive and interact with others. In an easy-to-understand format, you’ll find ideas for maximum productivity, job satisfaction, and better workplace relationships. Learn to recognize and appreciate your own strengths and those of others. Gain confidence that you can use your strengths to achieve success and maximize your potential. Establish trust and rapport with your clients and co-workers. Become a confident learner, eager to acquire new skills and information. Reduce conflict and build strong and positive relationships. Download a Free Preview (pdf format)! Are you interested in purchasing quantities of 25 or more? We are happy to provide you with a bulk order at discount pricing. Simply fill out the form below.